Protein Powder is a great supplement for someone looking to put on mass or even just get a good extra amount of protein in an easy to drink form. They’re tons of different protein powders on the market and we picked our favorite brands for you. Probably one of our favorites, ON is a great brand in the supplement industry who always cranks out quality/safe products. The 5.15lb tub runs $52 which is a great deal for serving/price ration. 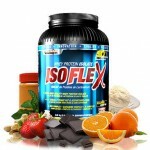 This Whey Isolate protein powder is a blend of Whey Isolate, Whey Concentrate, and Whey Peptide. With 23g of protein per serving. Syntha-6 protein is a great blend of proteins which you can take any time for great results. Before bed due to it’s blend of slow digesting proteins. The addition of 5G of fiber per serving is great – and at $45 for 5lbs its also a great deal. MusclePharm has been putting out great supplements and Combat Powder is another one. With a great price and a even better blend of proteins – this powder is great for any occasion. 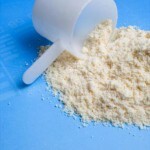 You’ll find a blend of standard why isolate, hydrolyzed whey, micellar casein, whey concentrate, egg albumen, and more. A truly great product and one of our favorites! Great for people watching carb intake (on diets) – this protein tastes great, has great value, mixes great, and features a good blend of quality ingredients. You can’t go wrong! A decent protein powder that is gluten/aspartame free – it tastes alright and mixes pretty darn good. 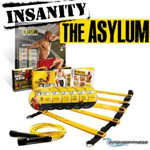 It’s about $49 for 5lb which is a good deal – not a bad supplement that is easy to find. Myotech makes some good products, this is one! Monster Milk is more of a weight gainer – with it’s huge serving of 50G of protein and 310 calories. You also get some creatine, BCAAs, L-Glutamine, and more. We cant lie, this tastes great – but only use this if you really need it. Muscle Milk is very popular – you see the drinks at every gas station. The actual powder is good stuff too. Lactose free formula is great for people who normally get upset stomachs over protein. Just under $50 for 4lbs is a decent price for a lot of protein per serving. ON again is one of the best supplement CO’s on the market. This is more like a mass gainer with a whopping 60g of protein per serving – protein blend includes 8 different sources for fast and slow digesting proteins. Can I build muscle with protein powder? What are the different types of protein?